I recently read To End All Wars by Adam Hochschild , a book about the First World War, and although I was trying to avoid reading another business book, it pointed to some things very relevant in the business world. When learning about the mistakes the British military leadership made in World War I that literally cost millions their lives, I saw the same mistakes many leaders make in the business community. The key problem is creating competencies and strategies based on history rather than focusing on what it now takes to win. In World War I, the British and French suffered several defeats because they believed their past successes made them destined for victory. A lopsided victory in the Boer War, particularly the battle of Omdurman, gave the British a feeling of superiority. They felt their Maxim gun (the first recoil-operated machine gun), would always provide superiority. What they did not realize was that the weapon gave them superiority over poorly armed Arabs, Africans and Asians, and did not guarantee superiority against a well-armed enemy. This over-confidence, exemplified by John French, the first commander-in-chief of British forces in WWI, led to multiple infantry charges against well-armed Germans that cost millions of soldiers their lives. The French also suffered a catastrophe due to over-confidence. At the beginning of the war, the French army proved incapable of containing the Germans flooding across the Belgian frontier. Additionally, in the southeast, a French offensive was disastrous. French prewar planning had centered on the mystique of the attack: great masses of men filled with élan rushing forward in shoulder-to-shoulder bayonet charges or thunderous cavalry assaults that would strike fear into German hearts. Furthermore, France’s troops went into battle in the highly visible blue coats and bright red trousers that had long made them the most flamboyantly dressed of Europe’s foot soldiers. This over confidence put the French, and the Allies, on the brink of defeat. We have witnessed this same phenomenon repeatedly in the tech space. Research in Motion’s arrogance that Apple and others would not eat into Blackberry’s market share because it was so successful in the past, and Microsoft’s belief that the Surface would dominate the tablet market not because it was better but because it was a Microsoft product, are but two examples. There are two ways of looking at employees, and for them to look at themselves, either a fixed mindset where they either possess or lack talent, or a growth mindset, where your team can develop new skills. An article in the Harvard Business Review, “How Companies Can Profit from a ‘Growth Mindset’” by Stanford’s Carol Dweck, shows the benefits having a growth mindset has for your company. According to Dweck’s research, failure is the end of the world for some people but an exciting opportunity for others. People with a growth mindset enjoy challenges, strive to learn and consistently see potential to develop new skills. Conversely, those with a fixed mindset view talent as a quality they either have or do not have. 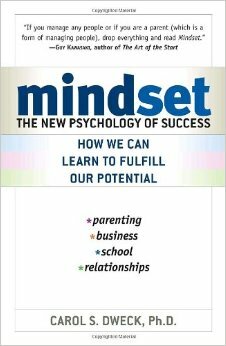 In the article, Dweck extends her definition of mindsets from individuals to companies. Dweck and her colleagues found that some organizations believe their people have a certain amount of talent, thus a fixed mindset. Others held the opposite view and those companies were considered to have a growth mindset. 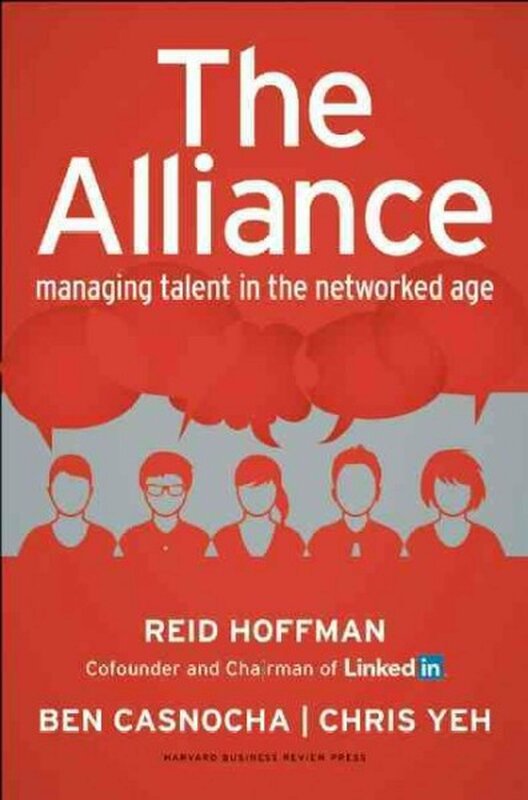 A few weeks ago, I wrote about Reid Hoffman’s book Alliance and his innovative ideas on how to structure the employee company relationship. One issue that some people raised to me was it sounded great, but if your company does not believe in creating tours of duty, it was not very useful. I am not much for giving non-actionable advice (hence why I am not a consultant ☺), so I wanted to address the situation by discussing what you can do to leverage this powerful concept even if your company does not. A recent article in the Harvard Business Review, “Making Charity Pay” by Michael Norton and Jill Avery, shows how business can use philanthropy to improve profitability. They point out that charity can enhance customer loyalty, brand awareness and sales. 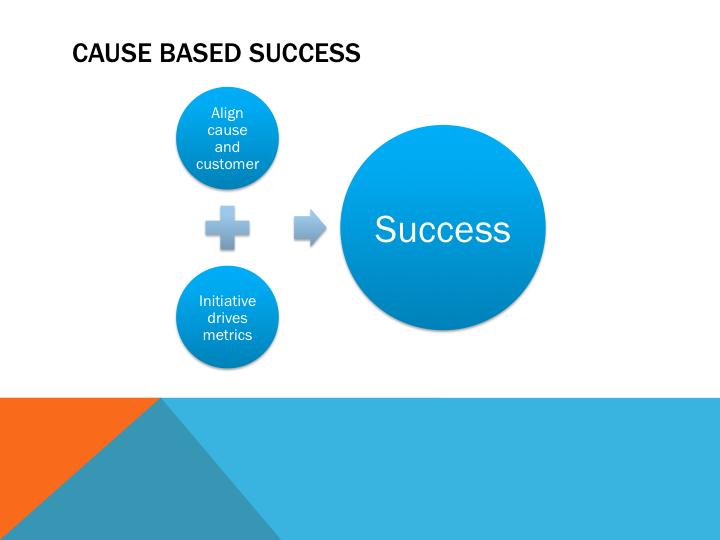 To impact metrics positively, however, you need to implement the cause-based initiatives appropriately. Norton and Avery analyzed both successful and unsuccessful charitable initiatives and determined that success is driven by companies aligning causes that resonate with customers in a way that drives sales. I have always said the best measure of a company and its customer relationships is not how they avoid unhappy customers but how they deal with unpleasant situations. Inevitably, you will do something that some customers do not like. Rather than focusing on avoiding the inevitable, there is more value in building a strong plan to react to these unhappy people and turning them into a resource. In fact, if they are engaged enough to complain to you rather than just go to a competitor, unhappy customers have the potential to be VIPs if you handle them appropriately. 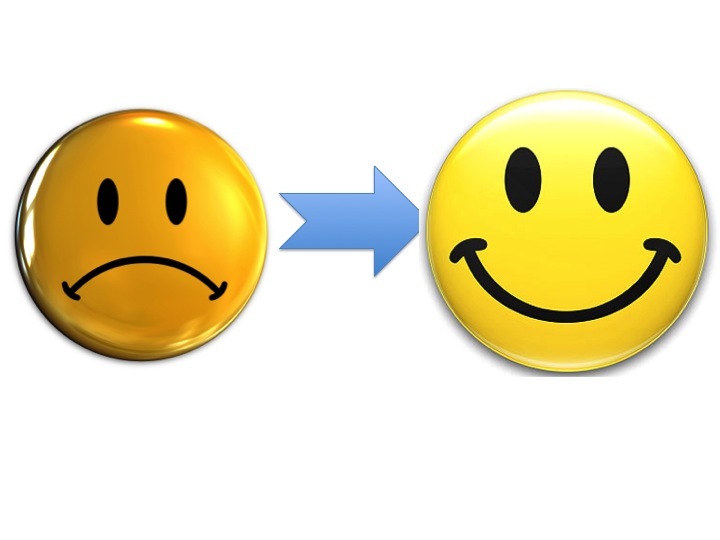 A recent KISSmetrics blog post by Josh Brown, “5 Ways to Turn Your Unhappy Customer Into A Valuable Resource,” provides strong tactical advice on addressing unhappy customers. By applying these tactics, you not only improve the word of mouth the users generate, but also increase lifetime value by building customers (or players) who will continue to purchase your product. The most effective way to be liked and admired is by listening to other people, a philosophy around which Dale Carnegie built a career. It is no different when dealing with your customers. An unhappy customer often cares more about being heard and understood than having their issue resolved. This means you need to listen to them and acknowledge their problem, not simply fix it. Are you a high-motor worker? For those who watch sports, we almost universally admire the “high-motor” players. It might be fans, announcers, teammates, but whoever it is, we love players who give an incredible effort on every single play. In baseball, it is the player who sprints to first base even on a pop-up with a 99 percent chance of being out. In American football, it is the player who runs 90 yards to tackle someone who just intercepted a pass before they score a touchdown even if the team is down by 35 points (who can forget Don Beebe in the Super Bowl for the Bills). In basketball, it is the relatively small player who gets more rebounds than the 7-footer because they want it more. In this post, I want to raise the question: Are you a high-motor worker? If they did live commentary on the tech industry, would the announcers talk about your intangibles? I often write about how to lead or build a team, but today I want you to focus on you. Do you want to be? As with most of my posts, there is not a right or wrong approach. You can be a great leader or employee without being high motor; there are only a few in every sport. There is nothing wrong with not being one of them, as it depends on your priorities or needs. The goal of this post is not to be critical of people or behaviors, but to help make you more self-aware so you can be the person you want to be. Author Lloyd MelnickPosted on November 4, 2014 December 1, 2014 Categories General Social Games Business, General Tech Business, Lloyd's favorite postsTags dennis rodman, High motor, intangibles, sportsLeave a comment on Are you a high-motor worker?